When buying or selling real estate involving a trust, many questions can arise. Who signs the documents on behalf of a trust? What is needed to prove that a particular seller has the authority to sell property? Are there additional documents that require filing with the County Register of Deeds in order to transfer real estate to and from a trust? The purpose of this post is to help people involved in a real estate transaction to become more comfortable with these issues. When deeding property to a trustee, it is important for the buyer to understand how to properly title the deed. Most often, it will read something like “John Smith, Trustee of the John Smith Revocable Living Trust date 1-1-2018.” If you are buying real estate to be titled in the name of a trustee, you will need to provide this information to the title company. If you are uncertain, please contact your attorney that prepared your trust document or provide a copy to the title company. Often, the document will indicate how real estate is to be titled. When selling real estate owned by a trust, the trust agreement must specifically give the authority of the trustee to sell or “alienate” real estate. The title company handling the transaction will require to see this portion of the trust document or have the trustee complete a “certificate of trust” document that states that the trust grants them the authority to sell property. Lastly, if the original trustee has passed away or resigned as trustee, the role of the trustee passes to a “successor trustee.” Again, in order to prove that a successor trustee has authority to act on behalf of a trust, the trust agreement or some documentation of the transfer of authority will be required. As real estate transactions involving trusts may require additional information, it is important to timely provide documentation as required by your title company. Additionally, here at Tallgrass Title, our closing agents and title examiners are knowledgeable in how to handle transactions involving trusts. If you have questions, feel free to contact our office. Buying a home is a major transaction in anybody’s life. You are committing to an obligation that can last thirty years. The obligation usually absorbs a major portion of your income in making the mortgage payments, real estate taxes, insurance and maintenance. 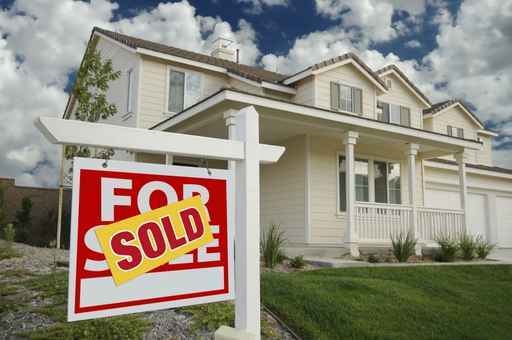 As a homebuyer you are dealing with real estate agents, title companies and lawyers. A homebuyer is surrounded by these real estate professionals rattling off terminology and using terms and acronyms that most of us are only vaguely familiar with. They will talk in terms like “30-year loan with a three one arm.” How many homebuyers know what that means? The sales contracts are long and complicated by the attempt to cover every possibility for every transaction with one form agreement. The mortgage loan documents required to obtain a home mortgage loan are voluminous. This is because of federal government regulations which require numerous disclosures and warnings which to the bureaucratic mind will protect the consumer. In their opinion a consumer is a gullible, ignorant victim being led innocently to financial doom. Having been a lawyer for forty years I believe all of these things; instead of protecting a homebuyer, work to intimidate that buyer. As a young lawyer I would read a complicated document or listen to an argument or presentation and think to myself “What the hell are they talking about?” That was followed by a dilemma. Do I ask and expose my dreadful ignorance or keep quiet and hope everything is okay? A mentor, lawyer, legal scholar and judge told me “Son, always ask until you understand the deal. You will find out that as often as not the person pushing the language can’t tell you what it means.” Question the people pushing your deal until you can repeat it in simple terms that you understand. That is what I do.